Made in Hungary, "Mechanikai Laboratórium (ML)"
It was a great production, has made for the Soviet War Department. 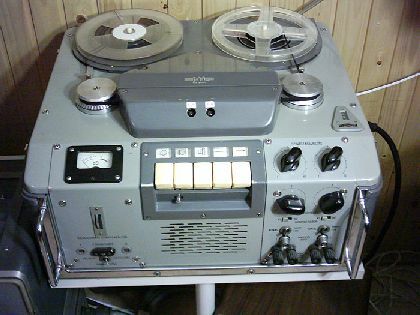 The STM-6-J was the first portable studio tape recorder with transistor in Europe, in early 1960s! In that years (for a short time), the "ML" has made tape recorders for the army, not for studios.